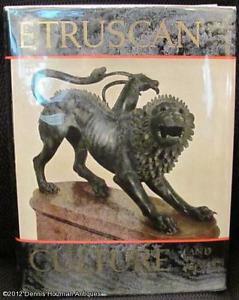 Some time ago I was re-examining a large volume I have about the Etruscans. 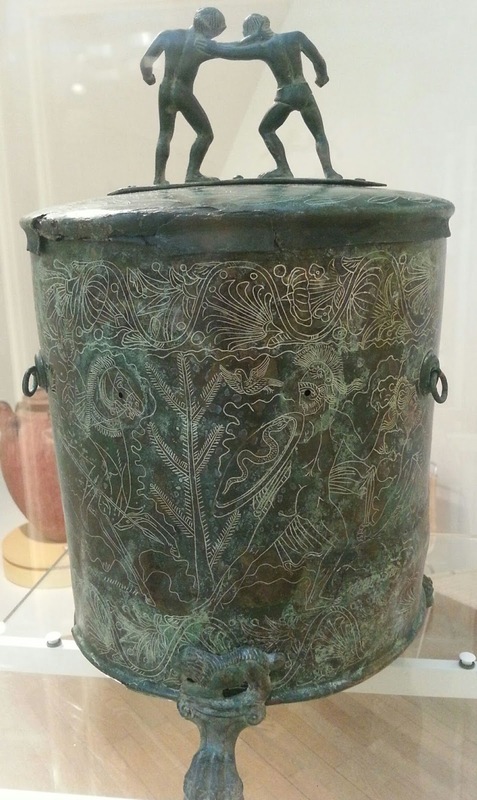 'Etruscan Culture : Land and People'. It was written 'with the collaboration of' King Gustav Adolph who, like many royals - seeking legitimacy ? - had an interest for archaeology (but couldn't hold a pen).. It is two kilos of wordy consideration of the landscape and archaeology of Tuscany, published in 1962. Example HERE. I had not looked closely enough at a photographic plate in the back before. Sipping my tea and browsing slowly, I suddenly realised that this corroded relic was the 'Villa Giulia' bronze urn! 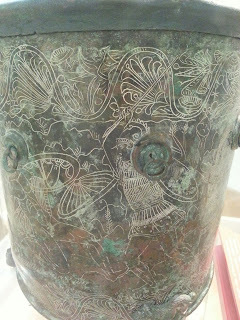 This urn is a key piece in the jigsaw of reconstructing the Three. The full-page black and white photograph did not look promising at first sight but when I looked closely, the quality of reproduction was so good that the Argo leaped out at me from the corroded bronze urn's side. Technology has moved on a bit since this was printed, but the quality of this production, no doubt due to its royal connections meant the reproduction was really good. The volume is hand-bound in embossed and gilded marbled paper and has a cloth-bound slip-case. So I thought I'd bring a bit of technology to bear and scan the photo. I have other versions of the image in books and one can find versions online but a) this one was my own unexpected find and b) maybe could offer something unexpected. 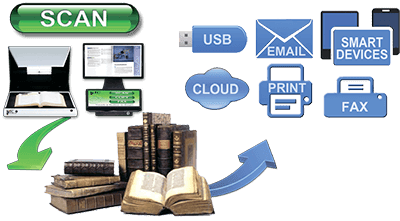 First it took a bit of a struggle to get the massive book onto the scanner so that the spine was not stressed, the page was not damaged and the image was flat on the glass. Even without three hands I just managed it. I scanned at 300dpi grey-tone just to see what happened. 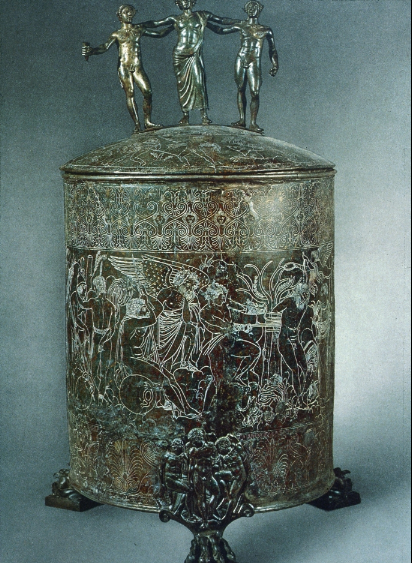 The Ficoroni Cista is a bronze urn decorated with engraved scenes on the sides and lid. It was made by one Novius Plautius for a rich lady, Dindia Macolnia, who gave it to her daughter some time around 340BC. Here is the whole panorama from somewhere or other on the web. Although sometimes labelled as urns for ashes, these items are also identified as womens toilet boxes. Attempts to interpret the individual scenes have not been completely successful. Attempts to interpret the whole panorama founder even sooner and recourse is made to 'lost works' of Sophocles and so on. If this is based on the Etruscan mythos then we have no written evidence left and a bastardised Etruscan version of the Greek myths will surely never be open to us to read. 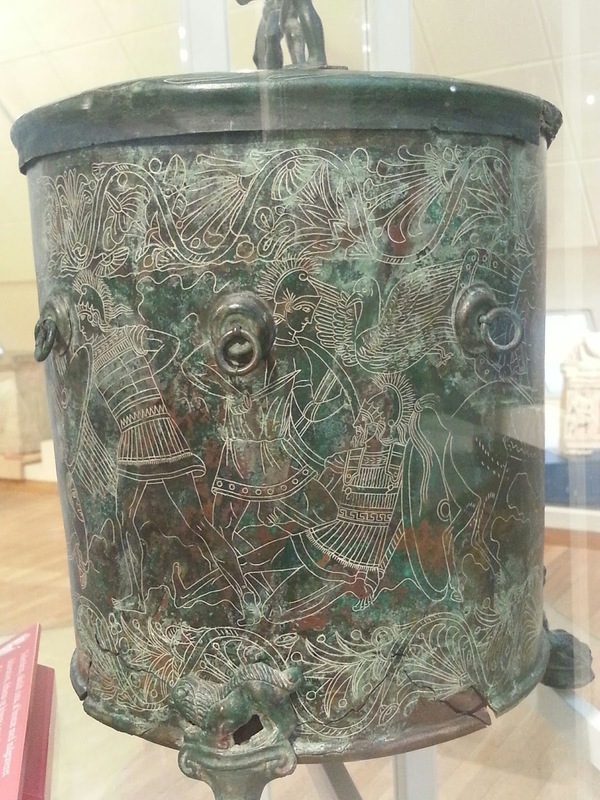 The National Museum in Copenhagen has a well-preserved example from Præneste, dating to c.250BC. but it does have some nice heroic combats. 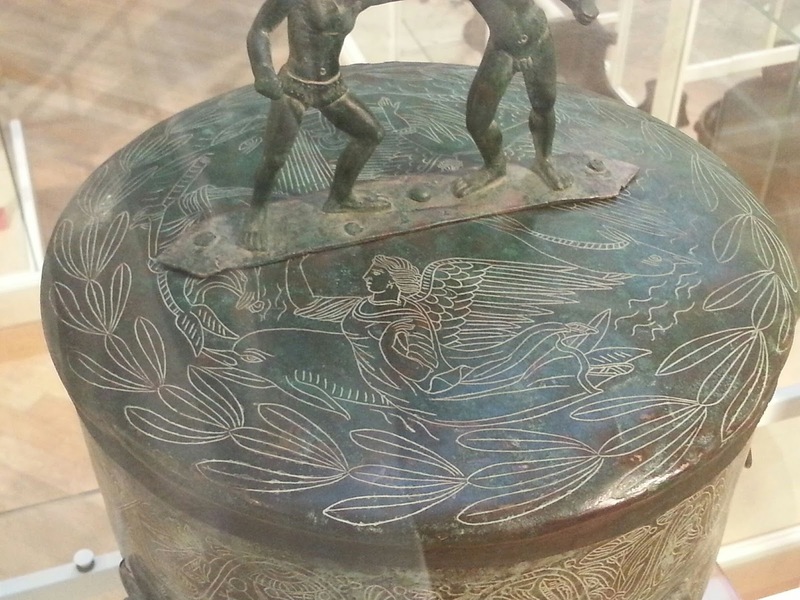 The handle on the lid was usually made as two or three figures. 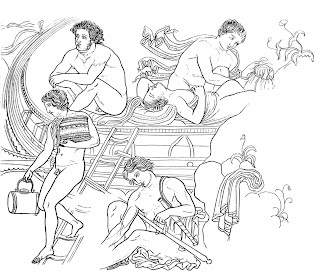 Here it was Atalanta and Peleus having a domestic. The closest to a marine motif were the dolphins on the lid. Why !? you ask, ( if you got this far ) is this interesting? It is interesting because among the various backsides on view on the Ficoroni Cista is the backside of a ship. The scene is from the Argonauts' epic and here we see the Argo with her stern drawn onto a coast. The crew is off doing various things or lounging on board. The great thing about the artist - who was a meticulous craftsman and observer - and the technique, which is precise and clear - is that we get a structurally accurate image of a Three. What is more interesting about the Cista Ficoroni is that it has been part of the Three debate for many years but a lot of the discussion has been based around incomplete drawings of the scene with the Argo. 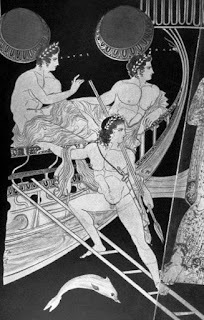 Amazingly, even 'The Athenian Trireme' has a poor reproduction on page 35. This is taken from J.H. Middleston's IlluminatedManuscripts in Classical and Medieval Times' of 1892. It has also led to the ship being elsewhere described as a 'cataphract pentekonter or liburnina '. Anyway, my old book turned in some nice scans which it was then possible to examine for the ship's structure and here is the result. A corroded mess but...Take a minute to look closely. The detail is beautiful, from the basket and bag ( Gladstone bag ?!) of the sailor descending the apobathra to the planking on the stern rising up to the aphlaston. 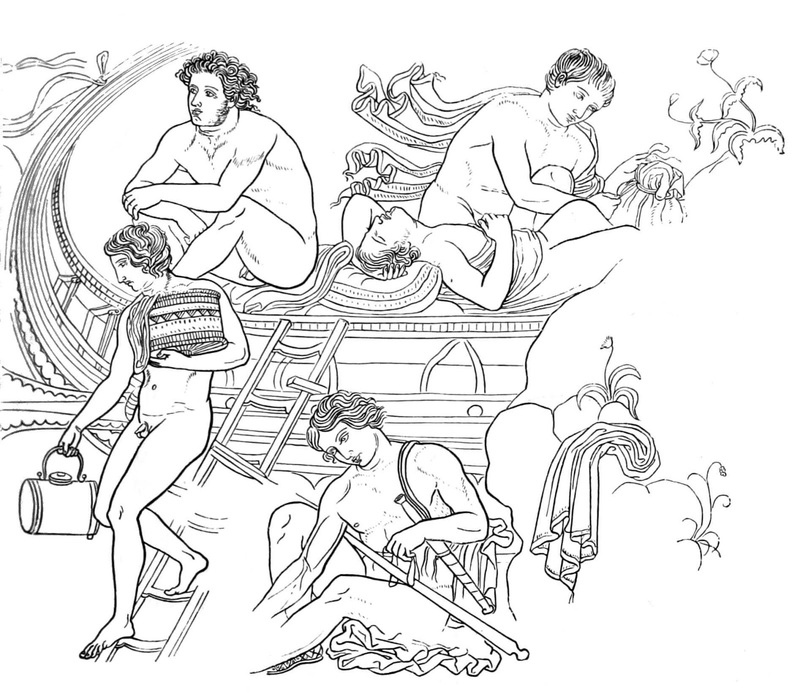 The men lounging on deck are a common feature on representations of ships not fighting. The epibatai had to lie or sit for long periods so they did not affect the ship's stability. Here the are overnighting on the beached ship ? The original reveals TWO rows of oarports in the hull. Added to the thranite position with oars worked over the gunwale thi smeans the ship illustrated is a THREE. 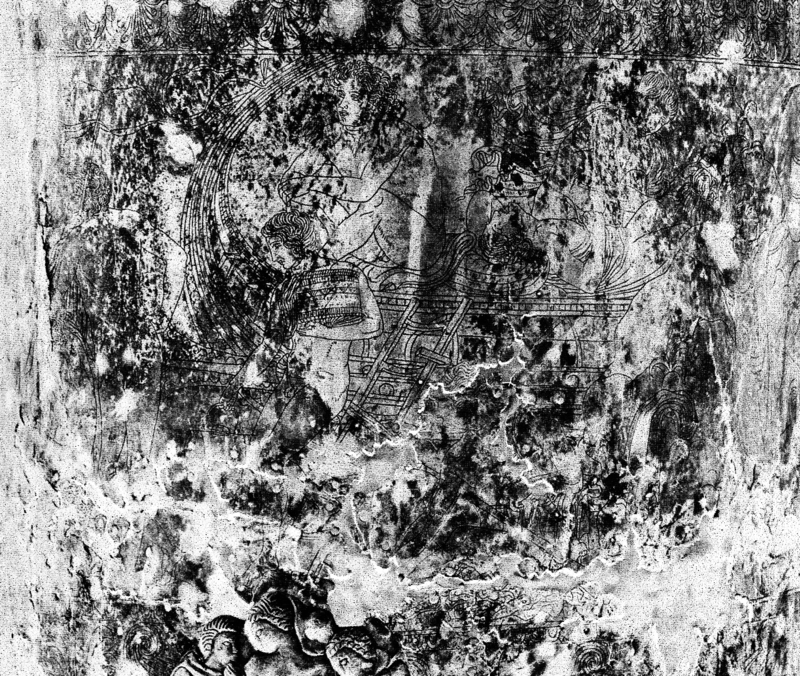 The stern of another Argo is depicted clearly on this 'Talos painter' 's urn. Another key piece of the trieres jigsaw assembled by Morrison and Coates. Cross-check it with the Ficoroni image. The thalamian oarport here seems to be equipped with an askomaton - theleather sleeve which stopped water entering the port if the ship heeled under way or if waves became to high. Again, here one can see the pedalion - steering oar - in 'standby' and the apobathra in use. The deck supports and aphlaston are nicely shown. Of course, later I found the illustration that Casson used for 'Ships and Seamanship..' (106) was completely perfect and he had it taped. The old Seadog! I was still chuffed with my excursion, though. The detail that comes through the unpromising chaos of grey shades is wonderful. Maybe Casson's photo was taken with chalk lining the graving lines ?